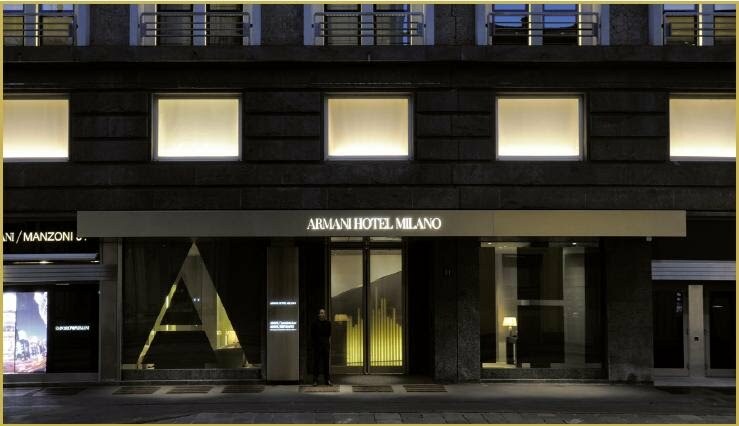 Armani Hotel Milano is located in the world famous couture district, known as Quadrilatero della Moda, and brings to life the “Stay with Armani” philosophy delivering a genuine home approach and a unique lifestyle experience where every need, desire and whim is fulfilled for each guest individually. The Armani style and philosophy defines every detail of the 95 guestrooms and suites where each element has been chosen for sculptural, aesthetic and sensual qualities. The restaurant and the lounge bar, with their floor-to-ceiling high glass windows, give a breathtaking panoramic view of the rooftops and terraces of Milan creating an elegant and vibrant atmosphere. The SPA, with its six treatment rooms, a couple suite, private sauna and steam and a magnificent relaxation pool with glass windows and roof, offers totally personalized experiences and features 1,000 square meters of beauty, peace and quiet overlooking the city from the top floor of Armani Hotel Milano.